We hereby continue reviving the topic of ancient Egyptian mythology. 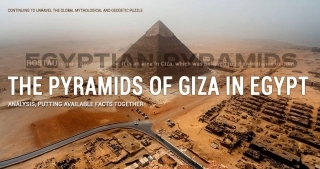 Today we will once again try to unravel the mystery of the purpose of some of the oldest extant cult buildings on our planet – the Pyramids of Giza, Egypt. We are surely neither the first ones nor the last ones to search for the truth, and the only difference between us and other seekers is the additional information we have owing to the books by Anastasia Novykh as well as our own analytical materials collected and accurately supplementing the outline of our search.